The Skåne Food Festival is a unique initiative to promote innovation, interactivity, diversity, and knowledge. It’s a lively meeting that matches food industry professionals with anyone who is hungry for a taste of Skåne! Charlotta Ranert and Anders Cederberg together arranged the first Skåne Food Festival in 2014 in Brösarp in the south-east of Sweden, in collaboration with the Skåne Food Innovation Network. The Skåne Food Festival brings together celebrity chefs, researchers, innovators, and leading food companies and local artisan producers. What they all have in common is their enthusiasm for Skåne’s food and drink. With its exciting programme and ‘come hungry’ concept, each Skåne Food Festival attracts thousands of visitors. The programme includes workshops where festivalgoers learn to cook wild food with a celebrity chef, or brew their own beer, or make amazing desserts with a pastry chef, or prepare the ultimate veggie meals. The festival seminars look at future challenges and share the latest trends. 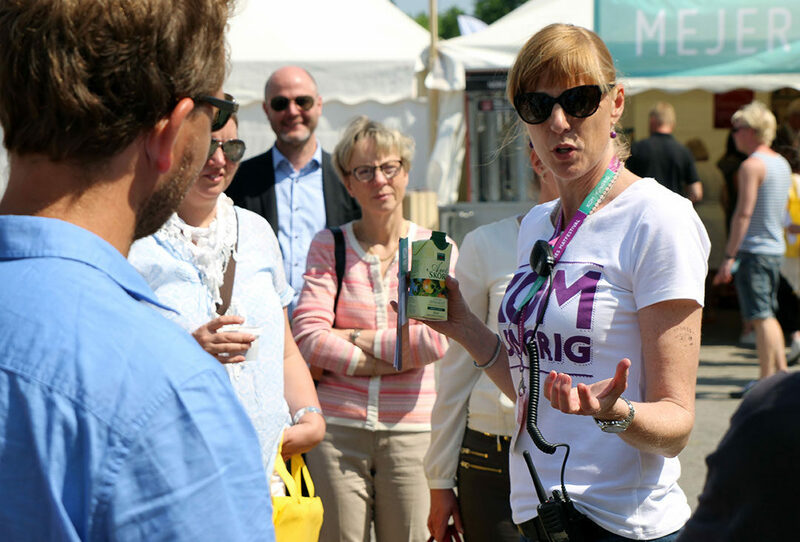 The Skåne Food Festival has several key themes, and businesses and public organisations of all sizes work together to showcase the sheer variety of local produce and activities. Artisan producers, major food manufacturers, chefs, developers—anyone who works with food and wants to share their knowledge and passion is welcome to join in. The Skåne Food Festival has activities for everyone, young and old, beginners or experienced foodies. What unites us all is our passion for good food. As founder of the Skåne Food Festival, Charlotta Ranert was its director for its first two years. As of 2017, the Skåne Food Festival is an independent venture in association with the Skåne Food Innovation Network and Taste of Skåne.r god mat.